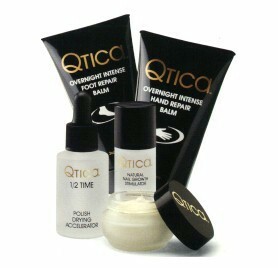 QTICA Natural Nail Growth Stimulator is the most advanced nail strengthener ever created. Qtica Natural Nail Growth Stimulator uses a unique blend of vegetable proteins, vitamins and ammino acids to automatically create stronger, healthier looking natural nails. While many products use multiple steps, Qtica Natural Nail Growth Stimulator is a simple one product solution that automatically adjust to the condition of the natural nail. Whether you have dry and brittle nails, or soft and peeling nails, Qtica will make your natural nails look better than ever. The unique formula of Qtica Natural Nail Growth stimulator also helps to grow strong natural nails. In some instances over a 1/4 inch every 14 days.